Amrut Whisky comes from India, and the company has existed since 1948! The name Amrut means Elixir of Life. This award winning distillery really started to become the Amrut we know today in 1982. 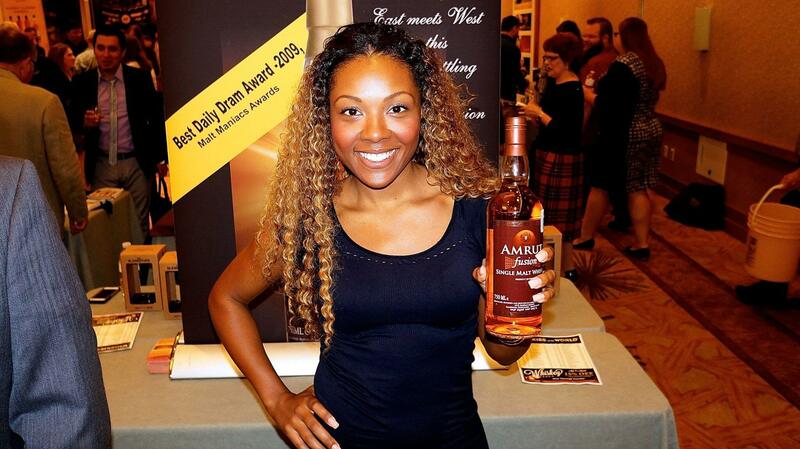 In 2004 they launched their Single Malt in Scotland and today it is available all over the world. Because India is much warmer than Scotland, their whisky ages much faster than in Europe or America. One of their best known whiskies, Fusion, is created using 75% Indian barley, and 25% peated malt from Scotland. Another expression, Spectrum, is innovatively aged for the final three years in barrels made of 5 different woods: new American Oak, new French Oak, new Spanish Oak, ex-PX cask sherry cask staves & ex-Olorosso sherry cask staves. This delicious whisky is familiar and yet completely new.